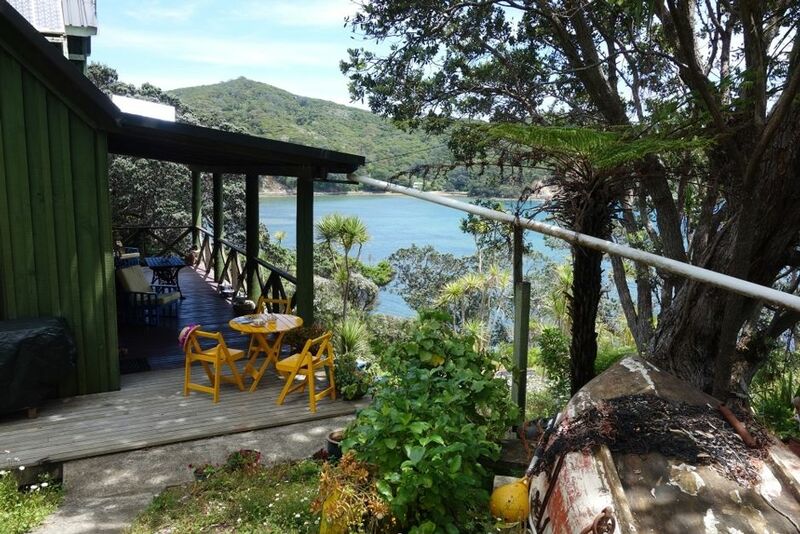 This cottage is all about its location on Shoal Bay. You will be coming down the garden path and be wowed by the views into the garden and the water lapping at the beach below. Sit on the front veranda at wine o'clock and take in the boat traffic in and out of Shoal Bay. In the night the lights on the boats nestling in the bay are spectacularly flickering in the dark and visible from your bed. Such tranquility. Within 50 metres from the front door, down the garden path and across the creek is a safe swimming beach, with a double kayak. Fishing can be done locally, either from Pigeons Point or from Shoal Bay Wharf, or your host can arrange a fishing charter. Across the road there are glow worms to be seen at night. Your host Joan is happy to take your children glow worm viewing. The house itself is running on 12V power only, so no hair dryers, but phone charging available and use of the land line, too. The house is quirkily decorated, clean and tidy and warm in winter, with a log fire. All linen is provided, but guests are asked to bring beach towels. Very suitable for two couples. Free babysitting by your friendly host. Amazing and interesting view over the harbour. Amazing and interesting view over the harbour. Great sunsets from the deck. Very comfortable and well set up property. Quirky decor. Gas stove and fridge freezer. Shower good. Internet not very reliable. But that is part of the charm of the Barrier. What a paradise, stunning views and amazing people. Great location, really comfortable - absolutely lovely. Great property in a perfect location. Great property in a perfect location. Close enough to shops and beaches that you can walk but then isolated enough that it was a quiet spot especially at night where you could sit on the deck enjoying the sights and sounds. Sea front setting.Amazing sunsets and bird life.Tranquil beach below.Panorama beaches,hot springs,bush walks,Restaurants and Cafes.